Special clinical interest in bronchiectasis and sleep medicine; clinical research interest in of factors associated with CPAP compliance. Dr Amy Reynolds is a Consultant Respiratory and Sleep Physician. She graduated with MBBS from the University of Queensland in 2005. Her respiratory training was completed at a number of hospitals in South East Queensland including Gold Coast Hospital, Mater Hospital and The Prince Charles Hospital. Dr Reynolds achieved her FRACP in 2016. Her interest areas include bronchiectasis and sleep medicine, which prompted her to complete 2 additional fellowships years. She worked as the Cystic Fibrosis Fellow at The Prince Charles Hospital in 2016 and as the Sleep Fellow at the Royal Brisbane and Women’s Hospital/Genesis Sleepcare in 2017. Dr Reynolds enjoys managing patients with a variety of sleep disorders. She has a particular interest in the management of sleep apnoea during pregnancy. 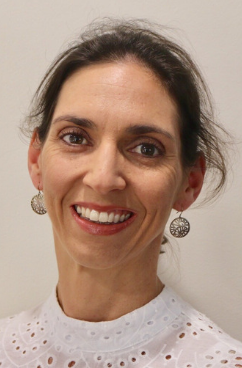 Her research interests have included the investigation of factors associated with CPAP compliance and she has been involved in GP education relating to optimisation of CPAP therapy. Dr Reynolds consults for GenesisCare at RiverCity Private Hospital, Auchenflower. She also consults at Greenslopes Private Hospital and at Wallace Street Specialist Centre, Chermside. She has admitting rights to Greenslopes Private Hospital.